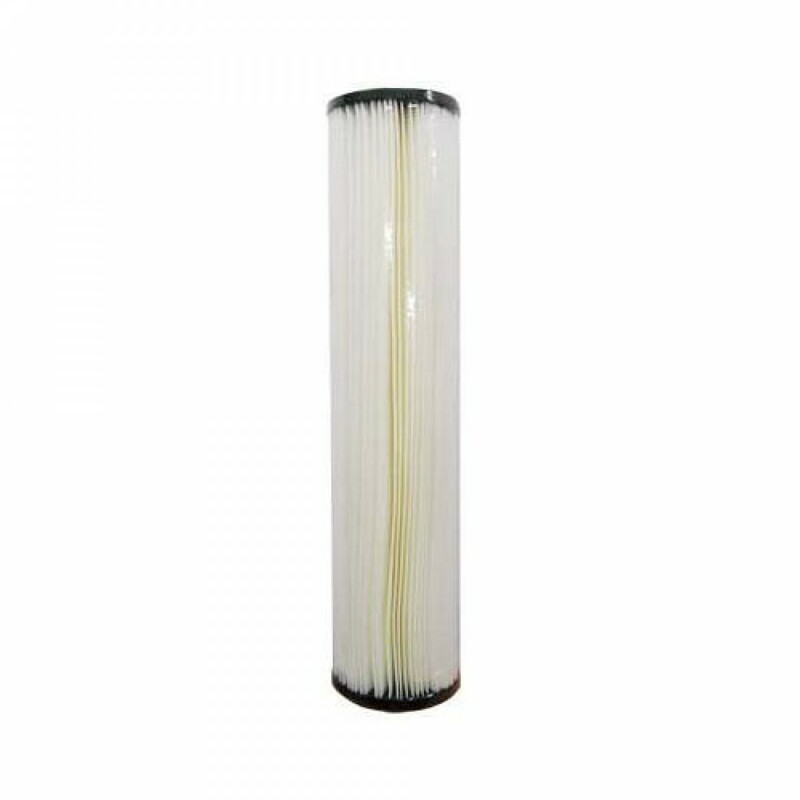 The Harmsco HB-20-1W Calypso Blue sediment water filter is designed to have the industryâ€™s largest surface area and lowers operating costs. This filter uses a pleated polyester media design that can be cleaned and re-used for an even longer filter life. The superior performance and extended life of the Calypso Blue series filters make them an ideal choice for any application. The HARMSCO-HB-20-1W does not reduce fluoride.